Compact Quartz Seiko Clock Movements. Easy to install. Center shaft mounted. 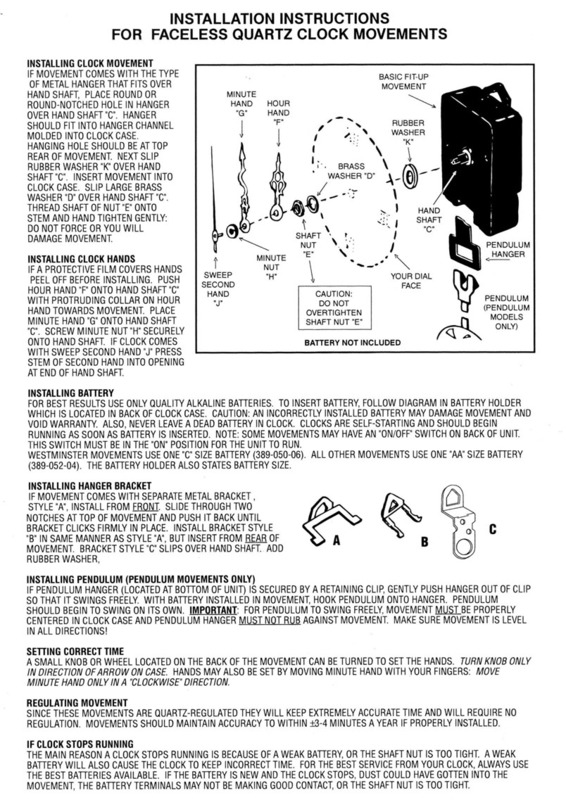 Economical and dependable electronic clock mechanisms for new or replacement clock projects. Uses 1 AA-size battery (not included). Center Shaft Mounted. Requires 11/32" Shaft Hole). Accurate to +/- 3 Minutes a Year. Cases Measure 2-1/8"W x 2-3/16"H x 9/16" Deep. 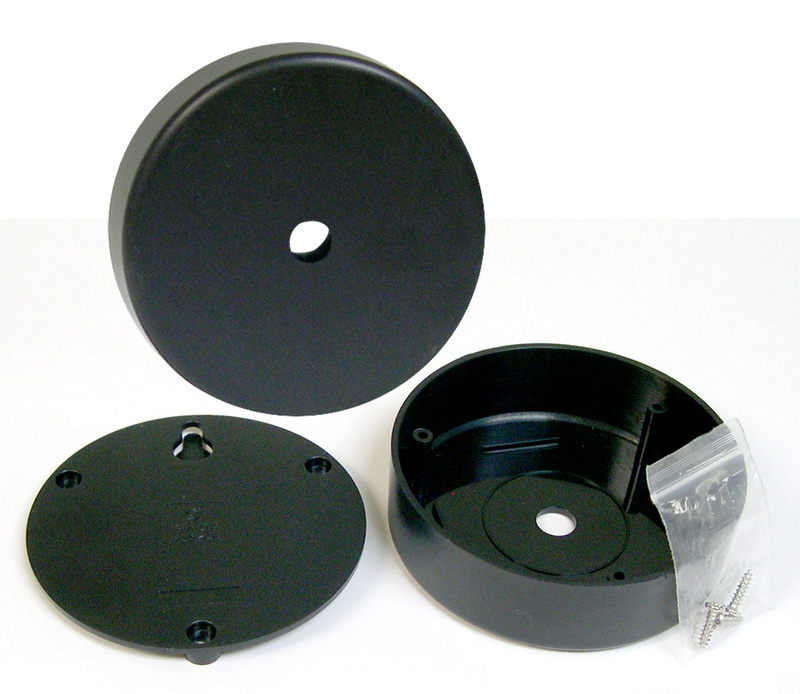 Minimum mounting hole recommended is 3" in diameter. Warranted 12 Months from Date of Purchase. IMPORTANT: Be sure that installed hands are parallel to each other so that the minute hand does not get stuck on the hour hand. Second Hand. Mounting Hardware Included. A) 5/16"L for Dials to 3/16" Thick. B) 9/16"L for Dials to 7/16" Thick. C) 3/4"L for Dials to 5/8" Thick. 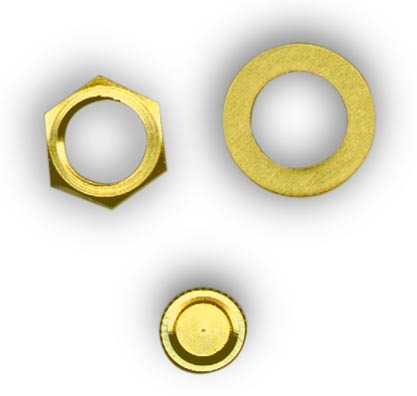 Hand Nut & Brass Washer. Click on "How To Install"
icon above. Fast and Easy. Click Selection links at bottom of page to view and order HANDS. 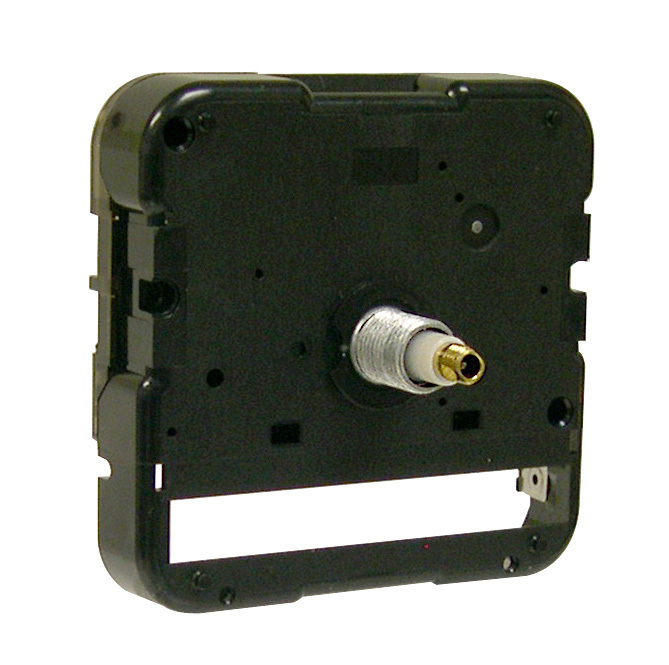 2-Piece snap-together clock movement holder for wall mounting includes 2 plaster screws and plastic wall anchors. Cup measures 3-1/2" diameter x 15/16" deep. OTHER CLOCK MECHANISMS are also available.